During the comfort food renaissance of the past few years, meat loaf has been mostly passed over in favor of gourmet fried chicken and infinite riffs on mac and cheese. 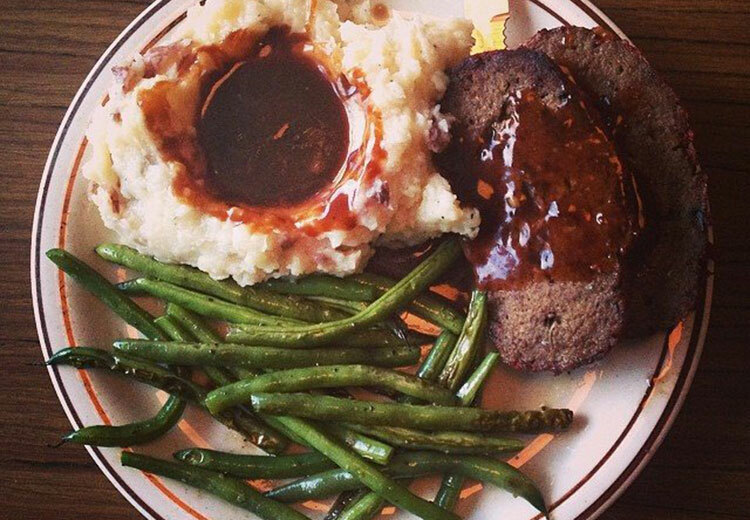 After all, how much can you improve on meat in loaf form? That’s why 101 Coffee Shop, the restored retro diner attached to the Hollywood Hills Best Western, doesn’t mess with the classic. A blend of beef, turkey, and chopped mushrooms keeps the slices succulent but not stodgy, and the brick is capped with a generous crust of baked-on ketchup—a nifty trick for sealing in juices that Betty Crocker once extolled to discerning housewives.